No matter what you need to have shipped, our Pensacola Moving Company can handle the packaging and crating of the item or items. We’ll take care of every detail of the packaging and crating process, including picking your shipment up wherever it’s located, to help make your life simpler and more worry-free. With that information, our team of professionals will find the best way to package your items, and we’ll find the best possible crate or other container for the job. If we can’t find a crate that fits your item’s specifications, we can custom design the crate you need. Then we’ll make sure everything if perfectly packed and that the packing material is perfect for your needs. Coastal Moving & Storage guarantees safe, damage-free delivery! Our professionals can make sure that your package is properly sealed and ready for any type of transit, including overseas or international export. We can also have your package or crate unloaded in our facility for you to pick up, for a carrier to pick up, or for us to deliver to you. 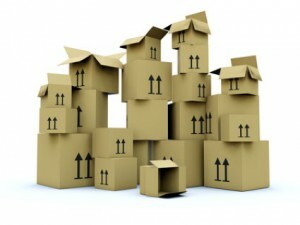 Coastal Moving & Storage also has storage facilities available. Time is valuable, so when can’t get to your product on time, we’re happy to assist you. Whether you need us to pick up an item from your home or business, or deliver an item to any destination, we can take on the job. Any dangerous goods are required to be packaged with proper documentation by the International Civil Aviation Organization (ICAO) for any products traveling by air, the International Maritime Organization (IMO) for any products traveling by sea, or the Department of Transportation (DOT) for anything transported in the US. Our professionals are trained and certified to take care of all of this, and we stay up to date on the current regulations.